Joining the jury for the 42nd annual Ken Roberts Memorial Delineation Competition, Dwayne Oyler practices architecture alongside partner and co-founder Jenny Wu in Oyler Wu Collaborative, a winner of the 2014 Design Vanguard Award from Architectural Record and 2011 Emerging Voices Award from the Architectural League in New York. Recently awarded a position on the design team for the Los Angeles River Bikeway/Greenway project, Oyler Wu Collaborative is known for such projects as 3DS Culinary in Hollywood, and the Cube, a winning pavilion entry for the Beijing Biennale. With a smart design sense and an acumen for fabrication and delivery of geometrically-complex projects, Dwayne leverages his experience working for Toshiko Mori Architects as well as his collaborations with the late Lebbeus Woods on projects including Nine Boxes, Terrain, and Siteline Vienna. Receiving a Bachelor of Architecture form Kansas State University and a Master of Architecture from Harvard University Graduate School of Design, Dwayne has taught architecture studios at Syracuse University, the Research Institute for Experimental Architecture, and the Cooper Union. Currently, Dwayne teaches architecture design studios at the Southern California Institute of Architecture (SCI_Arc) and is a visiting professor at Columbia GSAPP in NY. Admired for his advanced hand delineation and sketch technique, Dwayne also performs welding and fabrication for many of his studio projects. 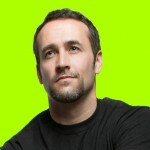 AIA Dallas welcomes Dwayne to the jury for KROB and we look forward to his contribution and voice.